Unless you live in Peru, Bolivia, or Mexico, where they can be found at every market, Rocotos are definitely the white whales of the pepper game. 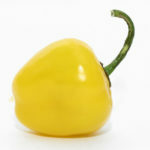 The only simple option for sampling these rarities, which belong to the capsicum pubescens species, is to purchase a specialty hot sauce online. There doesn’t seem to be many organic or salt free versions–this kills the spirit. If you are lucky enough to get fresh ones, consider yourself a lucky person. Many thanks go out to Wicked Mike from Miami. The specimen available for consumption was on the smaller scale, but this didn’t stop it from being Thicker than Beyonce’s Thighs™. 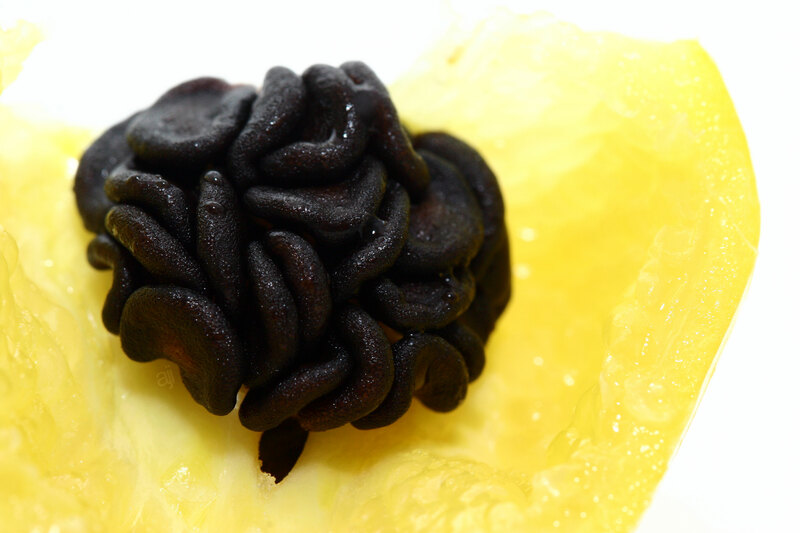 The walls of this pubescens were juicy, almost resembling the inner texture of a lemon. It appears closer to a tomato than your average capsicum, very unique. 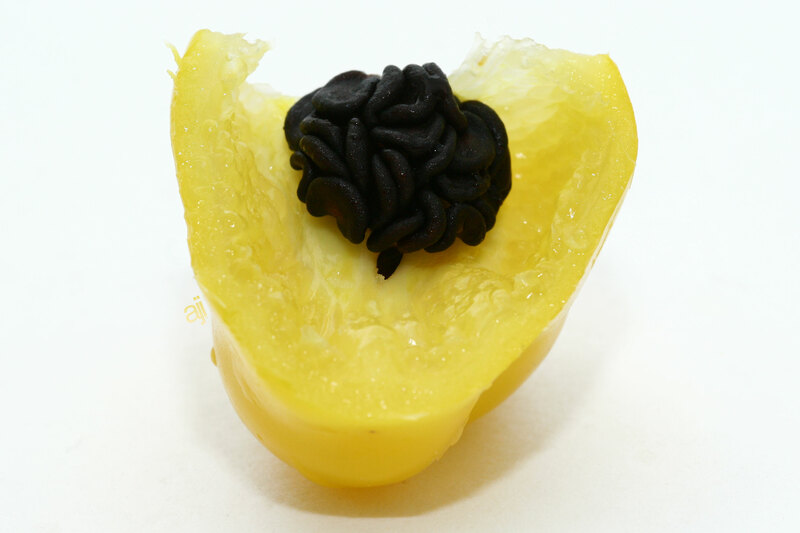 The seeds are black, unlike other pepper varieties. This is an interesting one; the scent is reminiscent of an ordinary bell pepper. Upon closer inspection, it fits somewhere nicely in between an annuum and baccatum. Very sweet and none of the pungent baccatum essence. Thank Tony Danza we had taken our chill pills, because we were in for quite a shock. Nothing could have prepared us for the first crisp, blissful bite. It was a supple texture in which our teeth melted through like a hot butter. We couldn’t believe it wasn’t butter–it was something more spectacular. 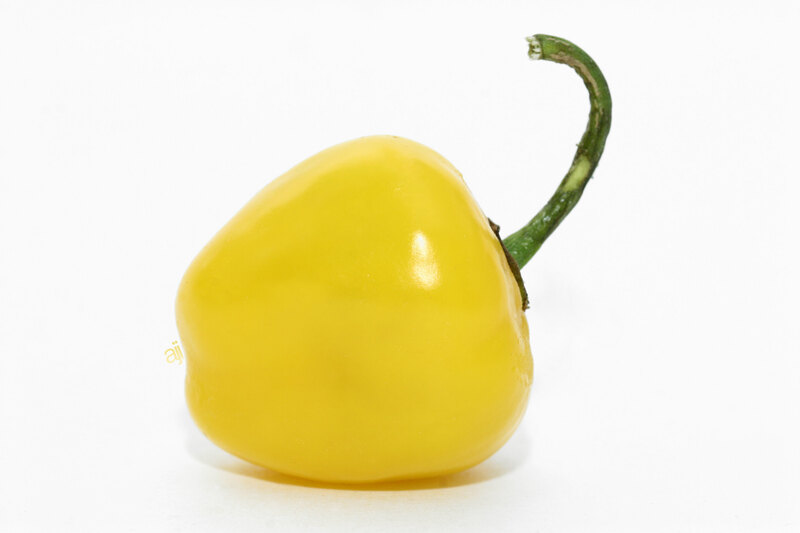 When biting into a Costa Rican Yellow Rocoto, the first thing you will notice is a juicy spritz of sparkling, tangy flavor. 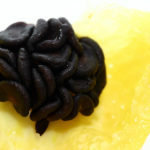 Is that starfruit? Plum? Maybe. Either way, an absolutely delicious pepper that demands fresh snacking–powders and pastes just won’t cut it. 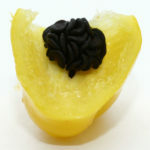 It’s important to stress just how fruitcore this pepper is. The spice is a nice surprise. If you were just an average purveyor of peppers, based on the presentation, you would expect this to taste mild. However, it hits the lips quick like an old lover’s familiar sting, sweet but painful. And long lasting. Rocotos can be hotter than a habanero, so handle with care. This is the best of the best.